The Reggio Emilia approach is based on the idea that every child has at least, ‘‘one hundred languages’’ available for expressing perspectives of the world, and one of those languages is music. While all of the arts (visual, music, dance, drama) are considered equally important in Reggio schools, the visual arts have been particularly central in the development of the approach. I think it is important to explore how a Reggio-inspired atelier (art studio) can be expanded to include music. Commonalities between visual art and music are discussed, as well as the use of music learning techniques, materials, and documentation for the music atelier. This blog outlines how the Reggio-inspired atelier (art studio) might be expanded for music-based learning. A brief review of early childhood music practices and ‘‘musical play’’ will be followed by an examination of how the philosophical foundations of the Reggio approach align with the idea of musical play. The purpose of the atelier and atelierista is discussed and the important role that artistic languages play in the Reggio approach. A case will be made that those teachers who understand aspects of visual art can expand the art atelier to include music learning experiences. Finally, there is a discussion of how music learning techniques, materials, and documentation might be used in the development of music-based ateliers. Visual arts are a central and accepted aspect of the Reggio approach. This may lead music educators to wonder, why visual art and not music? Early childhood music educator Andress (1998) first asked the question, ‘‘Where’s the music in Reggio Emilia?’’ (p.14) and argues that music would be a perfect fit for the approach. O’Hagin (2011) describes how a music atelier (a large area richly furnished with carefully selected and deliberately placed materials for problem-solving and discovery-making in music) could be created in a Reggio inspired setting. Ferris and Nyland (2011) believe that music used in the Reggio approach can foster citizenship in unique and appropriate ways. Smith (2011) observed the use of music in a North American Reggio preschool and determined music to be successfully incorporated into the approach. Bond (2012) observed how music was used in three North American preschools and found that music projects, taught in similar ways to Reggio projects, were excellent additions to these schools. In Melbourne, Australia music was integrated successfully through musical ‘‘learning stories’’ in which the children were the protagonists in each story (Acker and Nyland 2012). Finally, in the town of Reggio Emilia, schools have been experimenting with projects such as ‘‘Between Sound and Music’’ which focus on using musical instruments with children (Reggio Children 2009 The International Center for the Defense and Promotion of the Rights and Potentials of All Children in Reggio Emilia, Italy). These examples demonstrating the incorporation of music in Reggio-based curricula, however, are relatively new and rare. The majority of Reggio-inspired schools are still limited to the visual arts. Music is accepted as an important ‘‘building block’’ in early childhood curriculum (Fehr 2011) and musical experiences in the early years are valued for both aesthetic and cognitive merit (Bresler 2002). Activities such as singing, playing instruments, movement, listening and creating music are especially important to musical learning (Cooper 2011; Kenney 2011). In addition, music is not only used for its own aesthetic value, but to integrate into other areas of the curriculum. New Zealand’s early childhood programs have successfully integrated songs as a tool for language and numeracy literacy (Trinick 2012) and in Israel music in early childhood education has been used to increase literacy in reading (Gluschankof and Kenney 2011). In Kenya, music has been found to be useful in bridging curricular themes (Andang’o 2012) and the model of the Musikkindergarten in Berlin as ‘‘education through music’’ has also been suc- cessful in integrating the arts with early education (Uibel 2012). The quality, however, of music programs has been correlated with teacher and parent attitudes towards music. Brazilian families who spent quality time interacting musically with their children at home found that their children were more ready for music and school based learning (Ilari et al. 2011). Similarly, Taiwanese parents who most valued music learning influenced their children’s attitudes towards music learning more than parents that did not (Leu 2008). 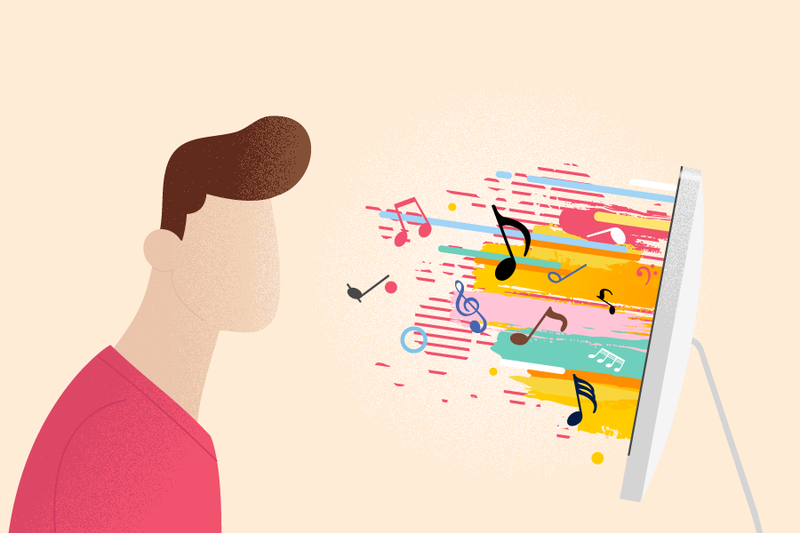 And American parents who participated in online social networking regarding their children’s music making influ- enced children’s attitudes towards music learning (Koops 2012). A cross-cultural study of early childhood music practices in Canada, Italy, Brazil and England showed significant differences in contexts, but similarities in the desire for more time devoted to music making in preschools (Young and Ilari 2012). The amount of teacher preparation in music skills was found to positively affect the quality of preschool music teaching in Australian schools (Garvis 2012; McArdle 2012). Play-based experiences, not formal music learning, are considered most appropriate for young children (Marsh 2008; Marsh and Young 2006). Play-based music learning is often referred to as ‘‘musical play’’ which can enhance social, affective, and cognitive development (Fox and Liu 2012). Musical play also facilitates physical development, gross and fine motor control and eye-hand coordination (Nyland et al. 2011). Problem solving, concept development, divergent thinking, and language development are also thought to be a part of a musical play experience (Tarnowski 1999). A recent study linked auditory discrimination and attention in 2–3 year-old children to informal musical play activities (Putkinen et al. 2013). And musical play has been shown to be meaningful to children in both cultural and personal ways (Campbell 2010). Other studies have found that when teachers and parents encourage children’s informal music making it enhances the development of musical skills and abilities in children (Acker et al. 2010; Acker et al. 2012; Cooper and Cardany 2011; Koops 2012). Donna Fox (1991) aligned Piaget’s theory of cognitive play to informal music learning processes by showing how Piaget’s four types of children’s play, functional, constructive, and dramatic play, and playing games with rules, are related to musical play. Functional musical play is when children primarily use their bodies to sing, clap, play instruments, and move to music. In constructive musical play children use objects to create structures or forms, such as choosing sand blocks to create the sound of the train moving on a track. In dramatic musical play children might act out a character or event in a story by playing drums for the stomping of dinosaurs or woodblocks for the trotting of ponies. Musical games with rules such freeze dance, musical chairs, or ‘‘Ring Around the Rosie’’ are common examples of musical play with rules. The Reggio Emilia approach originated in the town of Reggio Emilia, Italy, when at the end of World War II local educators, parents and community members came together with the intent to plan the best preschool system attainable. After several years of experimentation, the town decided to include the expertise of Loris Malaguzzi, a well-known Italian educational pedagogue. Together, they developed an approach that combined theories from Dewey, Montessori, Piaget, Vygotsky, and others. The town of Reggio Emilia created twenty-two community preschools and thirteen infant/toddler centers that focused on a social constructivist approach to learning (Malaguzzi 1998). Today, the Reggio approach has become increasingly popular and is considered one the best preschool educational approaches in the world (Kantrowitz & Wingert 1991). The Reggio approach was influenced by the philosophies of European pioneers of early childhood education, namely, Johann Pestalozzi, Frederick Froebel, and Maria Montessori. Pestalozzi’s approach to education was highly influenced by the ideas of philosopher Rousseau (1979) who believed that children were a precious resource. Indeed, Pestalozzi applied Rousseau’s philosophy, believing that children were special in their own right and not just ‘‘little adults’’. Pestalozzi believed that children were innocent, open and learned best through sensory exploration and in natural environments (Pestalozzi et al. 1977). Expanding on Pestalozzian ideas, Froebel created the Kindergarten (Froebel 1899)—a playful environment where children could manipulate woodblocks and balls, sew and fold paper and merrily sing and play games. Froebel believed that the manipulation of materials and physical activity, helped children to form abstract and spiritual concepts like ‘‘unity in the universe’’ and ‘‘opposites can be combined together’’ (Froebel 1885). Montessori, like Froebel, also created schools for young children centered on manipulating objects and playing games, but she first carefully studied children’s natural play behaviors to decide how materials and activities could best be used. Montessori believed that through the manipulation of objects, children could understand physical properties, categories, and important concepts such as colors, sizes, and shapes (Montessori and Gutek 2004). Johann Pestalozzi, Frederick Froebel, and Maria Montessori shared the common belief that children learn best in a natural, exploratory, and playful way and the Reggio approach shares this belief. In contrast to these European thinkers, in Colonial America, children’s play was considered undesirable, unproductive and childish. The less children play, it was thought, the more grown-up and responsible they would become. It was American philosopher, John Dewey, who strongly disagreed with this belief. For Dewey, children’s play was highly desirable because it expressed a child’s current experience and understanding of the world. Dewey felt that during play children learn to reconstruct their experiences and find meaning. Moreover, Dewey believed that a teacher’s role was to create a stimulating and playful environment for children to flourish mentally and morally. 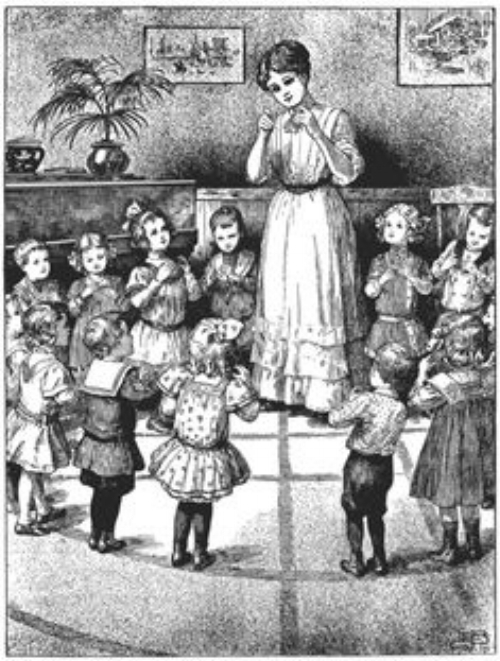 Dewey’s educational philosophy of experiential learning emphasized the active role of children in their own education (Dewey 1903). Dewey’s ideas influenced the constructivist learning theory of today and the Reggio approach is strongly influenced by Dewey’s philosophy. Lev Vygotsky, known for his ‘‘zone of proximal development’’ took Dewey’s ideas one-step further. For Vygotsky, cognitive development needs to take place within a social context. Social engagement and collaboration with others are necessary in order to transform children’s thinking. Make-believe play is especially important as it allows children to interpret interpersonal roles and better understand how objects operate in the world. Vy- gotsky claimed that symbolic and dramatic play were essential for abstract thinking and cognitive and emotional development (Vygotsky 1978). These ideas are also a large part of the Reggio approach. The theory of ‘‘meta-communication’’, promoted by Gregory Bateson, was especially important to Malaguzzi in developing the Reggio approach. In Bateson’s theory, meaning is derived from interaction with others and does not depend on literal verbal meaning (Bateson and Bateson 2000). For Bateson, the intensity and inflection of the voice, facial expressions, accompanying gestures, and secondary signals, as well as the verbal content of the communication determine real meaning during communication. In other words, when children interact, complex layers of communication occur simultaneously that are not always visible. Bateson believed that multiple layers of learning provide the best type of education, and Malaguzzi translated this belief to mean that non-verbal means of communication, like visual art, would be especially valu- able educational mediums. Bateson’s famous adage, ‘‘the map is not the terrain’’, illustrates Malaguzzi’s belief that traditional education is often flat in comparison to an emergent curriculum which can embrace subjectivity, curiosity, and creativity. Malaguzzi also believed that Bateson’s idea of ‘‘double description’’ was highly valu- able in a new vision of education because the combining of multiple perspectives gives a much more complete picture of knowledge (Bateson 1982). The ideas of Pestalozzi, Froebel, Dewey, Montessori, Vygotsky and Bateson can all be seen as influences on the Reggio approach. It can also be seen that musical play is just as applicable to the Reggio philosophy as visual art and that both can, and should, be carried out within Reggio-inspired ateliers. Artistic activities in the atelier contain complex, multi-modality processes that reflect these philosophical tenets and learning within an atelier is best realized through playful, engaging and meaningful activities. We would have gone further still by creating a school made entirely of laboratories similar to the atelier. We would have constructed a new type of school made of spaces where the hands of children could be active for messing about. With no possibility of boredom, hands and minds would engage each other with great liberating merriment in a way ordained by biology and evolution (Malaguzzi 1998, pp. 73–74). The atelier has never been intended to be an ‘‘artist’’ studio where children learn pre-professional artistic skills. Instead, children explore and interact with materials in an informal social setting. Children are encouraged to experience art in a natural way, using artistic materials while interacting spontaneously with other children and adults in an enjoyable manner. Just as babies don’t need formal instruction in languages, the Reggio approach stresses the importance of a process of exploring and using art in a social setting. By freely exploring art materials with others, children gain fluency to express their thoughts and ideas through producing artistic works. The main purpose of the atelier, therefore, is to allow children to develop a non- verbal language using multiple forms of media including music and the performing arts. Children become empowered to share their knowledge and feelings through the skills and methods they learn in the artistic atelier. Even though it is now 60 years since the inception of ateliers, the Reggio schools in Italy are still experimenting with dif- ferent types of ateliers, music being among them (Reggio Children 2009). An atelierista has advanced preparation from a formal art school and in addition to being the art specialist, he or she is an organizer, interpreter, and collaborator with the other teachers, children, parents and community. The first atelieristas began their work closely collaborating with Malaguzzi in 1970. During these years the atelier changed from a space where children would work in groups with artistic materials to a ‘‘complex organization of expressive lan- guages that spread throughout the school’’ (Gandini 2005, p. 10). As children became more skilled in using art materials to express their thoughts and feelings, artistic expression became a type of secondary language for them. The role of the atelierista continually evolved as Malaguzzi became more and more fascinated with the work of the atelierista in the Reggio schools. Important to Malaguzzi were the questions, ‘‘What promotes the power and plea- sure of learning with and through materials?’’, ‘‘How can an atelier inspire and sustain creative, innovative thinking and learning throughout the school community?’’(Gandini 2005, p. 3). Both these questions still guide the atelierista to maintain an exploratory approach instead of a discipline based one. The quality of art in the Reggio approach is never the purpose of producing an art object. Malaguzzi said, ‘‘There are no formulas there are only possible strategies’’ (Gandini 2005, p. 9). The atelierista is merely a facilitator, providing the materials and guidance for exploration. Since the atelierista’s main role is in guiding the artistic exploration of children and not ‘‘teaching art’’, the artistic pro- ducts children produce are documents of their cognitive and affective understanding and not stand alone art objects. These documents provide teachers with a unique and rich array of information about children’s interests, motivations, values and their knowledge about the world. The most striking commonality between music and art is that both are non-verbal languages. But in addition, there are seven elements of art and music, which share striking commonalities (see Table 1). The seven standard visual art elements are line, color, texture, value, space, shape and form. These seven elements in the visual arts atelier correlate with elements in music in interesting ways. Line in art could be seen as similar to melody in music. Children understand that lines in art make ‘‘pictures’’ and the melodies in music make the ‘‘song’’. Line and melody are both linear and stand-alone; they start at a given point and continue until they end. Color, in visual art, is quite similar to timbre in music. 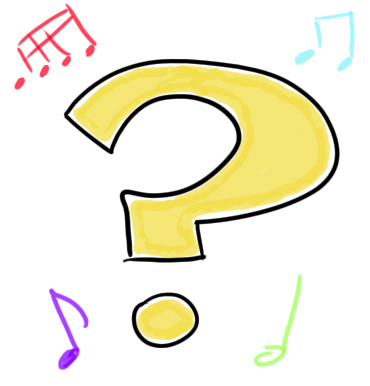 Timbre, or ‘‘sound color’’, in music is something that children are hardwired to detect. Indeed, Trehub (2006) has shown that from birth, babies are able to differentiate between many different sounds. Color in art is considered a combination of hue, chroma, and value; in music, musical timbre is determined by a set of frequencies sounded with a characteristic attack, decay, and release. Though this sounds scientifically complex, color and timbre are both easily recognizable to children and children often have a favorite color or sound that they love. Texture in art is similar to texture in music. In art, texture is seen, but also felt by children through touching and feeling. Texture could be rough, smooth, bumpy, scratchy, hard, or soft. In music, texture is heard as the way sounds interact. When voices and instruments move at the same time and direction, the texture is smooth; when voices and instruments move at different times and directions, the texture is perceived as rough. Few voices and instruments create a thin texture; multiple voices and instruments create a thick texture. Value, in art, is a given point on a continuum between dark and light. In music, a specific dynamic is also a point on a continuum between loud and soft. And a specific musical tempo is a point on a continuum between fast and slow. Value, dynamics, and tempo are particularly important for affective expression in both art and music. The use of space in art has a comparable role in music’s use of rhythm. Space, in art, refers to distances or areas around, between, or within components of a piece. For example, there are physical materials, such as paper, canvas, clay or wire, upon which space in art is created. In music, the material upon which music is placed is time itself. Rhythms are varying durations of sounds and silences placed within the canvas of time. Shape in art resembles phrases in music. In art, shape is an enclosed form in a two-dimensional or flat surface. A shape is created when a line reconnects with itself. In music, phrases are recognizable melodic fragments such as ‘‘Mary had a little lamb’’, ‘‘little lamb’’, ‘‘little lamb’’. Contrast and repetition of phrases make music interesting, just as repetition and contrasts in shapes give art its visual appeal. Form in art has three dimensions: length, width, and depth. Similarly, harmony in music is created when two or more pitches are sounded simultaneously and is also multidimensional. Separate pitches in music come together through harmony in distinct new ways, and it is often difficult to hear the separate pitches when they are played together as complex ‘‘sound-forms’’ known as musical chords. These seven commonalities between art and music could be considered the ‘‘vocabulary’’ of the atelier. Children first become immersed in these elements through explorations, then practice, and eventually become fluent enough to use music and art as a fluid medium for communication and expression. Malaguzzi was clear in his vision that Reggio ateliers needed to continually evolve, be open to innovation, and move beyond the original template of visual art. The expansion of the art atelier towards a music atelier is a natural direction for ateliers to grow. The art and music atelier, despite their commonalities, are quite different in regards to techniques and materials. Visual art materials and practices require paint, paper, glue, clay, scissors, sponges, textiles, found objects and the list goes on. Materials used for music making are very different from the art studio in that children use their own bodies as ‘‘materials’’ to chant, sing, move, and perform instruments. Music ateliers require audio equipment, sufficient room for creative movement, and quality instruments and other music resources. The one time purchase of quality instruments, however, will be used year after year and make the creation of a music atelier extremely affordable in the long run. In the visual arts atelier children use physical materials to create works of art. For example, children need paint, brushes, a surface to paint on but children also need to know how to handle the materials. Children need to learn techniques; how to mix the paint, hold the paintbrush, or make different kinds of strokes on the canvas. These techniques are introduced by the atelierista as he or she guides experiences, provides prompts, and asks questions that will help to direct children’s explorations. The music atelierista is no different. The music atelierista proposes musical experiences and instructs children in the use of techniques by demonstrating how musical materials are used while prompting children to find their own ways of exploring these materials. Some of these ways include chanting, singing, movement, listening, and performing on instruments and playing musical games. The music atelierista initiates the activities, but allows the children to create their own original contributions. Just as words and sentences are essential to meaningful expression in language, understanding the basic music elements (melody, rhythm, timbre, dynamics, tempo, texture, phrases, harmony) provides the essential building blocks necessary for children to express themselves musically. Music also includes movement and drama. The body naturally responds to music through movement and because music often tells a story, there is a strong ‘‘make- believe’’, dramatic play aspect to music and to many musical experiences. In addition, since music is an affective art form and is particularly valuable for expressing emotions and moods. When we label a two-year-old an ‘‘artist’’, we don’t expect this child to paint landscapes and create large sculptures; instead, we acknowledge the physical demands of controlling the crayons and creating the lines and circles known to us as scribbles (but fiercely defended by youngsters as ‘‘pictures’’). In the same way, identifying a two-year-old as a ‘‘musician’’ should not be based on expectations of precocious demonstrations of adult musical behaviors (Fox 1991, p. 42). Musical ability, or ‘‘talent’’, is not the point of devel- oping children’s musical fluency in the atelier. Musical products are meant to express a child’s perspective, feel- ings, ideas and imagination. Reggio-inspired schools are continually developing ideas beyond the original model of the visual arts atelier in schools throughout the world. Looking at similarities between the visual arts and music might be a useful way to expand the work within the art atelier to include music. Teachers that are already comfortable working with visual art may find it interesting to explore the interweaving of relationships between the visual and performing arts. Musicians can also benefit by looking towards the visual art atelier for ideas for creating unique atelier explorations. Existing art ateliers could be expanded to include music alongside visual art or separate art and music ateliers could be developed. Children, in any case, will benefit from the expansion and inclusion of music, as well as visual art experiences, within Reggio-inspired settings. Acker, A., & Nyland, B. (2012). Young children’s musical explora- tions: The potential of using learning stories for recording, planning and assessing musical experiences in a preschool setting. International Journal of Music Education, 30(4), 328–340. Acker, A., Nyland, B., Deans, J., & Ferris, J. (2012). Young children and singing: Music as a language that encourages home/centre understanding in early childhood. Victorian Journal of Music Education, 15(1), 12–21. Acker, A., Nyland, B. & Ferris, J. (2010) Music at home and in the preschool: Children and music participation in early years. In C. Gluschankof & B. Ilari (Ed. ), Nurturing Children’s Musical Lives by Building Bridges: Proceedings of the 14th International Seminar of the Commission for the Early Childhood Music Education, International Society for Music Education (ISME), 26–30 July 2010 (pp. 13–17). China: Beijing Normal University. Andang’o, E. (2012). Musical contexts as bridge-builders in early childhood music education in Kenya. Min-Ad: Israel Studies in Musicology Online, 10, 16–26. Andress, B. (1998). Early childhood: Where’s the music in ‘‘the hundred languages of children?’’. General Music Today, 11(3), 14–17. Bateson, G. (1982). Difference, double description and the interactive designation of self. In F. Allan Hanson (Ed.) Studies in symbolism and cultural communication, Manhattan, KS: Uni- versity of Kansas Publications in Anthropology, 3(8), 3–8. Bateson, G., & Bateson, M. C. (2000). Steps to an ecology of mind. Chicago, IL: University of Chicago Press. Bond, V. L. (2012). Sounds to share: The state of music education in three Reggio Emilia-inspired North American preschools. (Unpublished doctoral dissertation). Case Western Reserve University, Cleveland, OH. ProQuest Dissertations and Theses, 296. Bresler, L. (2002). Harry Broudy on the cognitive merits of music education: Implications for research and practice of arts curric- ulum. Arts Education Policy Review, 103(3), 17–27. Campbell, P. S. (2010). Songs in their heads: Music and its meaning in children’s lives. New York, NY: Oxford University Press. Cooper, S. (2011). General music and early childhood: Embracing a variety of opportunities. General Music Today, 24(2), 1–2. Cooper, S., & Cardany, B. (2011). The importance of parents in early childhood music. In S. Burton (Ed. ), Learning from young children: Research in early childhood music (pp. 95–111). Plymouth, UK: Rowman & Littlefield. Dewey, J. (1903). Democracy in education. The Elementary School Teacher, 4(4), 193–204. Fehr, R. C. (2011). General music academy explores building blocks of early learning. Teaching Music, 18(6), 10. Ferris, J., & Nyland, B. (2011). Early childhood music: An Australian experience. In K. Smithrim & R. B. Upitis (Eds. ), Listen to their voices: Research and practice in early childhood music. Waterloo, CA: Canadian Music Educator’s Association. Fox, D. B. (1991). Music, development, and the young child. Music Educators Journal, 77(5), 42–46. Fox, D., & Liu, L. (2012). Building musical bridges: Early childhood learning and musical play. Min-Ad: Israel Studies In Musicology Online, 1057, 67. Froebel, F. (1885). The education of man. New York, NY: A. Lovell & Co.
Froebel, F. (1899). Pedagogics of the kindergarten (trans: Jarvis, J.) London, UK: Edward Arnold. Gandini, L. (2005). In the spirit of the studio: Learning from the atelier of Reggio Emilia. New York, NY: Teachers College Press. Garvis, S. (2012). Exploring current arts practice in kindergartens and preparatory classrooms. Australasian Journal of Early Child- hood, 37(4), 86–93. Gluschankof, C., & Kenney, S. (2011). Music literacy in an Israeli Kindergarten. General Music Today, 25(1), 45–49. Ilari, B., Moura, A., & Bourscheidt, L. (2011). Between interactions and commodities: Musical parenting of infants and toddlers in Brazil. Music Education Research, 13(1), 51–67. Kantrowitz, B., & Wingert, P. (1991). The best schools in the world (Cover story). Newsweek, 118(23), 50. Kenney, S. (2011). Teaching young children how to sing: One school’s experience. General Music Today, 24(2), 52–56. Koops, L. (2012). Music Play Zone II: Deepening parental empow- erment as music guides for their young children. Early Childhood Education Journal, 40(6), 333–341. Leu, J. (2008). Early childhood music education in Taiwan: An ecological systems perspective. Arts Education Policy Review, 109(3), 17–25. Logue, M., Robie, M., Brown, M., & Waite, K. (2009). Read my dance: Promoting early writing through dance. Childhood Education, 85(4), 216–222. Malaguzzi, L. (1998). History, ideas, and basic philosophy. In C.
P. Edwards, L. Gandani, & G. Forman (Eds. ), The one hundred languages of children: The Reggio Emilia approach—Advanced reflections (pp. 49–97). Westport, CT: Ablex Publishing. Marsh, K. (2008). The musical playground: Global tradition and change in children’s songs and games. New York, NY: Oxford University Press. McArdle, F. (2012). New maps of learning for quality art education: What pre-service teachers should learn and be able to do. Australian Educational, 39(1), 91–106. Montessori, M., & Gutek, G. L. (2004). The Montessori Method: The origins of an educational innovation. Lanham, MD: Rowman & Littlefield. Nelson, J., & Zobairi, N. (1999). Multiple literacies: The whole mind at work. International Journal of Early Childhood, 31(2), 82–90. Nyland, B., Acker, A., & Deans, J. (2011). Young children and music: Participatory learning and intentional teaching. Victorian Journal of Music Education, 1, 13–20. O’Hagin, B. (2011). Musical learning and the Reggio Emilia approach. In K. Smithrim & R. B. Upitis (Eds. ), Listen to their voices: Research and practice in early childhood music (pp. 196–210). Waterloo, CA: Canadian Music Educator’s Association. Pestalozzi, J. H., Holland, L. E., Cooke, E., Robinson, D. N., & Green, J. A. (1977). How Gertrude teaches her children; Pestalozzi’s educational writings. Washington, DC: University Publications of America. Putkinen, V., Tervaniemi, M., & Huotilainen, M. (2013). Informal musical activities are linked to auditory discrimination and attention in 2–3-year-old children: An event-related potential study. European Journal of Neuroscience, 37, 654–661. Reggio Children (2009). Between sound and music. A two-year study (2007–2009) on the approach to musical instruments also with young children in scholastic contexts. http://www.reggiochildren. it/activities/ricerca/tra-suono-e-musica/?lang=en. Rousseau, J. J. (1979). Emile, or, on education (A. Bloom, Trans.). New York: Basic Books (original work published 1762). Smith, A. (2011). The incorporation of principles of the Reggio Emilia approach in a North American preschool music curric- ulum. In S. Burton (Ed. ), Learning from young children: Research in early childhood music (pp. 79–93). Plymouth, UK: Rowman & Littlefield. Stephens, S. (2012). Music you can see. School Arts, 112(1), 34–35. Tarnowski, S. M. (1999). Musical play and young children. Music Educators Journal, 86(1), 26–29. Trehub, S. E. (2006). Musical predispositions in infancy. Annals of the New York Academy of Sciences, 930(1), 1–16. Trinick, M. R. (2012). Sound and sight: The use of song to promote language learning. General Music Today, 25(2), 5–10. Uibel, S. (2012). Education through music-the model of the Musik- kindergarten Berlin. Annals of the New York Academy of Sciences, 1252(1), 51–55. Young, S., & Ilari, B. (2012). Musical participation from birth to three: Toward a global perspective. In G. McPherson (Ed. ), The Oxford handbook of music education (pp. 279–295). New York, NY: Oxford University Press.